Home / Blog / It’s a new year. It’s time to get your Anti Bullying program together. It’s a new year. It’s time to get your Anti Bullying program together. 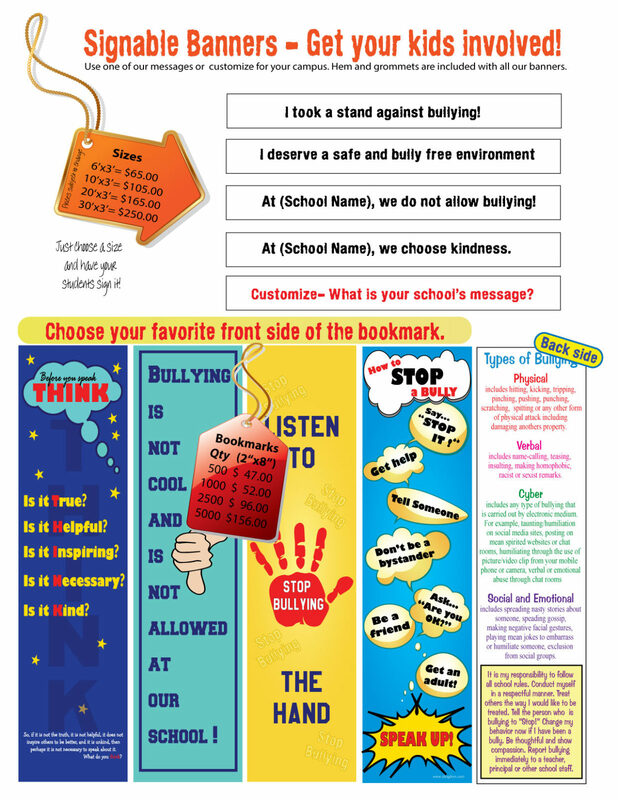 Take a look at our great February Anti-bullying specials. 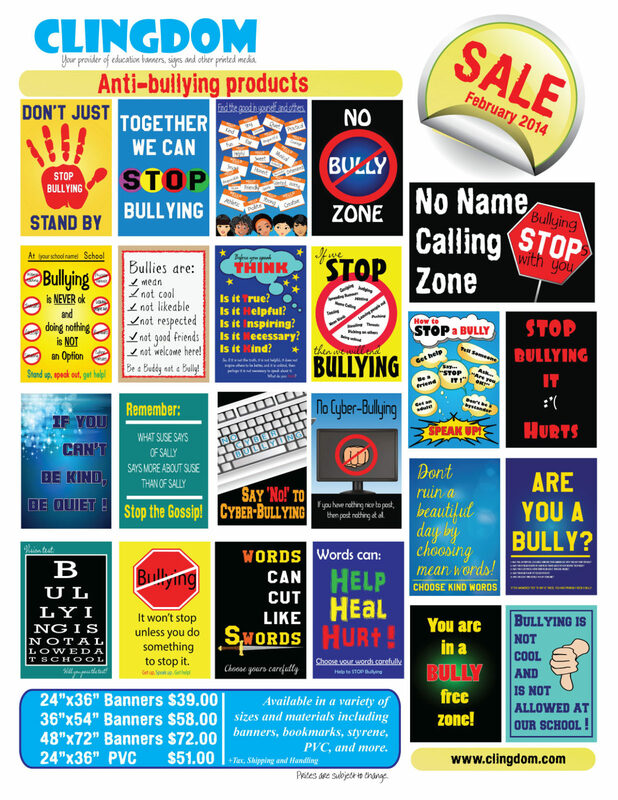 Let’s work together to end bullying on your campus in 2014. 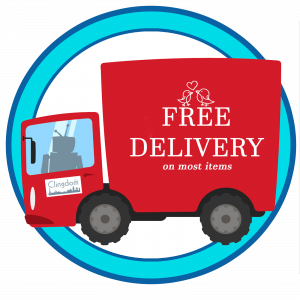 Clingdom wants to help you get your message across to your students.